Cortana, the Windows Phone voice-activated digital assistant, now works on desktops, laptops and tablets running the preview edition of Windows 10. Microsoft began touting the new capability when it announced Windows 10 on Jan. 21 as a free, one-time upgrade for Windows users that will be officially released later in 2015. The upgrade will be available on devices running Windows 7 and Windows 8.1 on PCs or tablets, or Windows 8.1 on Windows smartphones. The Cortana capability will give PC and tablet users fast access to information and important reminders -- with assistance from Bing and GPS-- when invoked with "natural and easy" voice or typing interactions, Microsoft said at the time. While Cortana on PCs and tablets goes beyond what Google Now and Siri on smartphones can so far offer, it isn't clear how popular, valuable or successful Cortana on PCs and tablets will be with customers. Based on Computerworld interviews with users, there's a fair amount of skepticism. For business users, especially, who already have adjusted to software programs like Dragon Naturally Speaking for taking dictation, Cortana isn't seen as a potential replacement on their desktops. Cortana does a lot more than take dictation. However, one important audience -- millennials -- may not like making voice commands on a desktop for performing tasks, especially after their years of relying on texting on their smartphones and widely avoiding the making of voice calls. "Personally, I don't find digital voice assistance very useful," said Clayton Kohler, a freshman at the University of Missouri at Kansas City. Kohler is working on a degree in finance and is involved in a startup called Mobile Maker to bring cutting edge technology to after-school programs. He's constantly on his phone or laptop or a desktop in classrooms. "I have Siri on my iPhone now, but I still find it easier to type in a Google search for whatever I'm trying to find. I just don't think this new [Cortana on PCs and tablets] ability is that big of a deal. We're always finding ways to make tasks even easier, so I'm sure it will be popular, but I don't think it's important." Rick Usher, an assistant city manager for Kansas City, Mo., said the cross-platform capability of Cortana "sounds like too much technology and not very useful." Voice commands are "handy when you have your hands full, but I don't see it being useful when you're sitting in front of the computer." Usher conceded that Cortana "might be handy if we're talking about getting rid of the keyboard or the mouse" on the desktop, adding that eye-movement tracking could also be important. More than anything, such critical comments indicate that Microsoft might need to focus more attention on explaining the value of cross-platform Cortana to average users. Joe Belfiore, a Microsoft corporate vice president and head of the Windows team, explained the value of Cortana on the desktop in a video posted on a Windows blog. Starting at the one-minute point, Belfiore acknowledged that while Cortana on Windows Phone had received great feedback, "people using PCs aren't used to having a personal assistant right there, ready at any time to tell them important things, like, 'you need to leave now to get to dinner on time' or to answer their questions ... about weather, world events, sports scores." Belfiore also noted that Cortana on the desktop "can do things on my behalf" and recalled being busy typing on a desktop keyboard, then suddenly remembering he needed to send an email. "I can ask Cortana to write an email and she'll do it without me needing to take my hands off the keyboard," Belfiore said. "It's like a whole new level of multitasking that's possible in the PC." Several busy desktop users said Belfiore's multitasking remark was mostly mystifying to them, as they again questioned the overall value of voice commands across various platforms. Others said Belfiore's example might not be much different from pausing while typing and then asking a secretary or assistant nearby to send off an email. "It's way too early at this point" to judge the value and efficacy of a cross-platform Cortana, said Jack Gold, an analyst at J. Gold Associates. Still, Gold predicted that digital assistants, with their artificial intelligence and ability to interpret natural language requests, will evolve and will become a big priority for Google and Apple as well as Microsoft, among others. "Big companies, including IBM, have been working on this capability for years, and it's a hard problem to master," Gold said. "The algorithms are hard to define and it takes tons of processing power to do it." It's still difficult for a computer to discern the meaning of either voice or typed words in the context a human intends, Gold said. "Many different users ask questions in different ways, so being able to parse natural language inquiries is important but very hard to do," he said. "It is the quest for parsing of natural language, written or spoken, that will be the key to whether products like Cortana move away from novelties and into the mainstream, or not, for business users. I want a true digital assistant that can understand what I say and it won't matter how I say it, and that's the ultimate challenge." While some reviewers of Cortana on Windows Phone praised its ability to accurately interpret human requests much of the time, one analyst believes Microsoft hasn't gone far enough by making Cortana cross-platform. Patrick Moorhead, an analyst at Moor Insights & Strategy, said Microsoft needs to build a Cortana more explicitly for the greater processing power of a desktop or laptop and not just a cross-platform Cortana that imitates the same relatively limited capabilities of Cortana on the smartphone. "While Cortana is new and shiny [in Windows 10 for PC' and tablets], I believe that it will be most likely dumbed down to the same functionality as Windows Phone to provide a consistent experience instead of truly tapping the performance in a PC platform," Moorhead wrote in a recent commentary. In an interview, Moorhead said that desktops, especially, have more powerful processors, memory and storage than smartphones. But Microsoft has only offered the Cortana capabilities of Windows Phone in the cross-platform approach of Windows 10. Smartphone digital assistants like Cortana, Siri and Google Now "aren't really to the point where you can rely on them, and aren't much above finding telephone numbers," he said. The main reason they aren't more capable is that smartphone software has been designed to provide natural language interpretation and other tasks, outside of the actual device, and in the cloud, with its relatively limited processing, storage and memory. "There's too much latency between the mobile network and the cloud and there's latency in the cloud," Moorhead said. "If you pull more of the computing capability and the way Cortana is architected onto the PC, Cortana will be significantly more accurate." Moorhead said that the natural language interpretation accuracy of today's smartphone digital assistants could well be in the 70% range, compared to the upper 90% range for products like Dragon Naturally Speaking software. "Dragon is widely relied upon by lawyers and the medical community to transcribe things because it leverages storage, memory and processing on the PC itself," Moorhead said. "If you have that capability on the platform, you should use it, as opposed to going to the cloud. The more processing power you have interpreting what somebody is saying, the better the result is going to be." As a result of what Microsoft has done with Cortana, Moorhead said, "your experience with Cortana on your smartphone may be exactly the same on the PC. It's a lost opportunity for Microsoft." Moorhead predicted that if Apple puts Siri on the desktop "their strategy is not going to have the exact same experience as on the iPhone." Despite all the praise Moorhead heaped on Windows 10 as a cross-platform product with greater security and other features, he said that Microsoft's introduction of Cortana for PCs and tablets is "going to be a marketing tool to get consumers excited as opposed to a reason to buy a Windows 10 computer because of Cortana." Most users who have tried Google Now, Siri and Cortana on smartphones are "relatively disappointed," Moorhead added. It's relatively easy today to command a smartphone digital assistant to "call Mary Jane" or "give me directions to the nearest McDonald's." By contrast, it is almost impossible to get an answer to a request such as, "What's the newest scary movie at my favorite theater?" Nonetheless, Moorhead has started using a preview version of Windows 10 on a laptop and found, in one example, that it quickly retrieved a Power Point file that he specifically named for Cortana to find. Asked to comment on the concerns about the Windows 10 version of Cortana, a Microsoft spokeswoman said Cortana will evolve in future builds of Windows 10, without elaborating. "We built Cortana on Windows in a way that allows us to continuously bring new, valuable experiences to our users. We started with what we knew worked with Cortana for Windows Phone and are evolving the experience in future builds of Windows 10," the spokeswoman said. Cortana may not be everything that everybody wants yet, even Microsoft. But here's an easy bet: A lot more people will be talking to their computers and smartphones in five years and getting back some pretty smart answers. 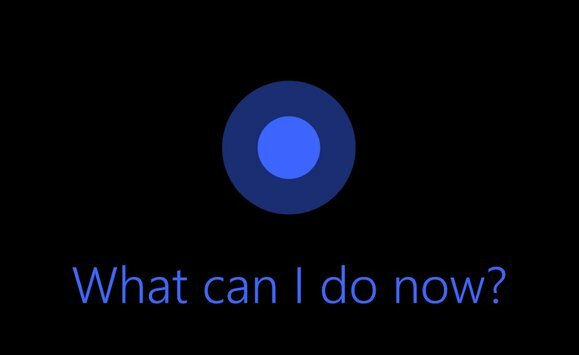 This story, " Cortana on the PC: Can We Talk? " was originally published by Computerworld.